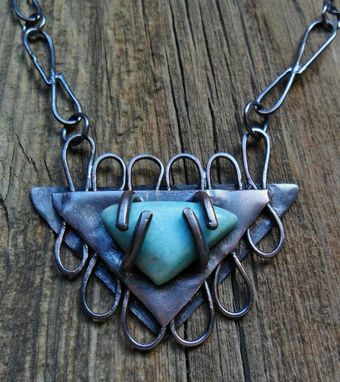 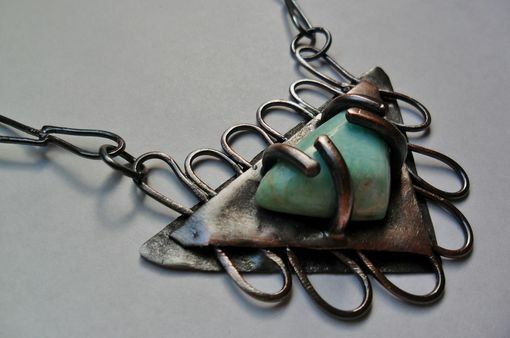 Pretty blue amazonite stone sits on layers of triangular shaped copper separated by swirls of copper wire. 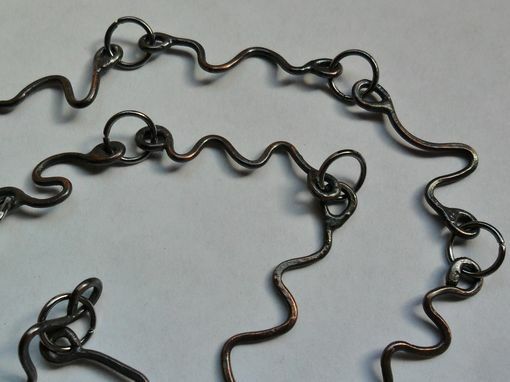 Hand made matching swirl links each cut from a spool of copper wire create the chain for this striking piece. 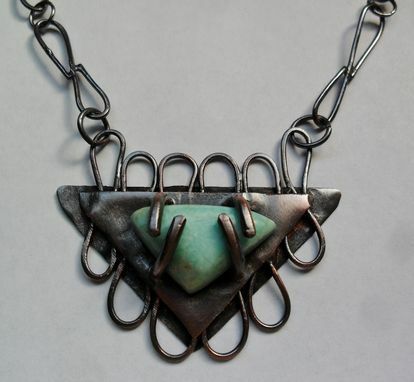 The metal has been darkened with patina. Of course, the stone choice is yours. 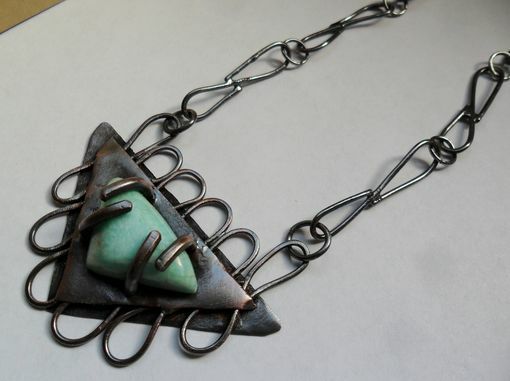 Pedant is a little over 2 inches wide, and roughly 2 inches long.